Welcome to the 100% non smoking La Quinta Inn & Suites Davis California Hotel, conveniently located on Research Park Drive off of Richards Blvd., adjacent to I-80. 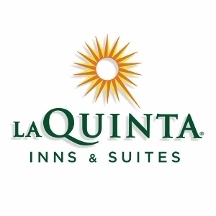 La Quinta Inn & Suites Davis offers guests an appealing ambiance with easy access to neighboring art galleries, theaters, historic California museums and the University of California - Davis. Guests will be just a short drive to Napa Valley, with railroad and balloon rides through the California wine country.